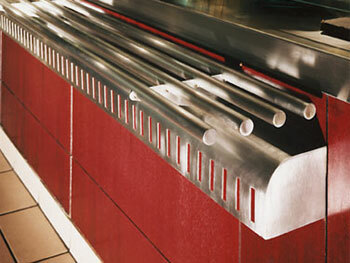 Cafeteria rails are a group of parallel rails that support trays or plates in cafeteria settings. 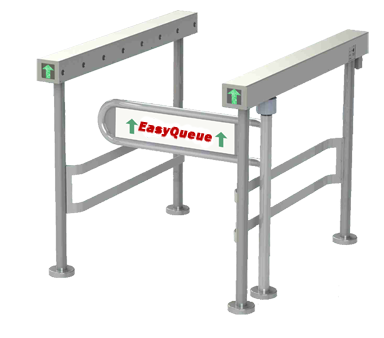 These rails help organize consumer movement and also create natural queues within a food serving area. Gallery Metalworks' cafeteria tray rails are durable and functional to deal with high-traffic and high-use cafeteria environments. Some design options include slide length, materials, finishes and the brackets used to secure the rail system. Gallery Metalworks also specializes in fabricating custom design cafeteria rails. Contact us regarding cafeteria tray rails with questions or with your custom design inquiries.